Comments: Produces very finely cut foliage. Excellent selection for bonsai work. Holds scarlet red color through the entire growing season. Produces a beautiful mounding form. 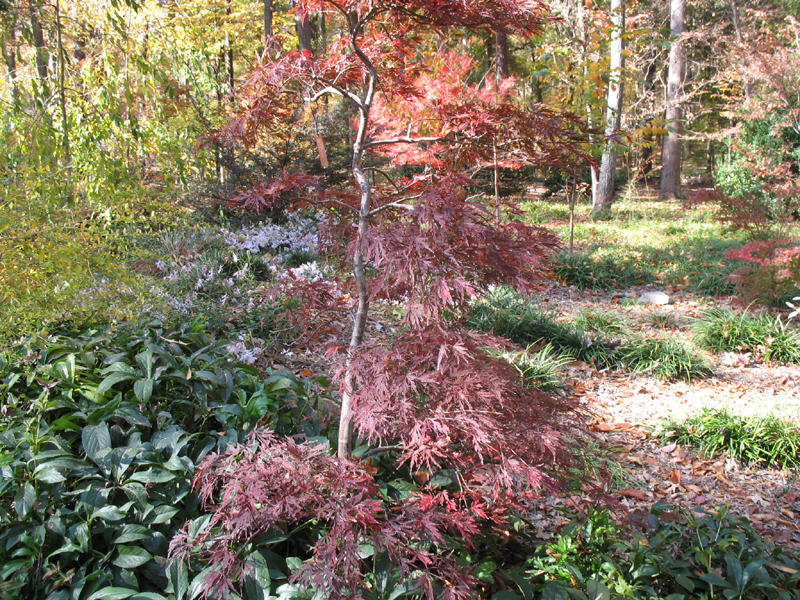 It is reported that this maple may be used in the future as the standard by which the finely cut, dissectum maples are judged. Excellent for growing in containers. Provide protection from hot drying winds because the finely cut foliage is very susceptible to wind and drought injury.